Typically, album releases are heralded with extensive promotional campaigns and hype. But, what happens when an artist changes up the pattern? For a certain level of artist, unexpected and unconventional album releases make sense for their careers. Still, for others just establishing themselves, an unanticipated drop might not be the best plan. Here’s a look at some of the most notable, game-changing releases in recent history, plus how indie artists can adapt these strategies – or why they shouldn’t. On December 13, 2013, Beyoncé released an album out of nowhere. Though fans knew she'd been working on new music there was no official release date or press coverage. The album, accompanied by a video for each song, appeared on iTunes overnight. The secretive release along her with superstar power made this a hugely successful album. Should indie artists try this? Absolutely not. This type of release model is far too ambitious for an indie artist. At this stage in the game, you need to be trying as hard as possible to get yourself heard. While an album release like Beyoncé's is interesting, it only works for an artist of her stature in the music industry. If an indie artist who's just starting out releases an album using a similar model, it will likely go unheard. 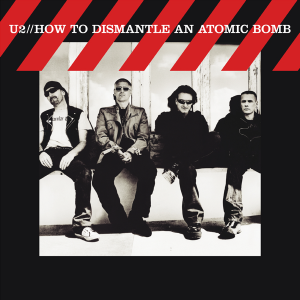 Before the recent surprise of 2014's Songs of Innocence, U2 approached the release of How to Dismantle an Atomic Bomb a decade earlier in a similar fashion. Teaming with Apple, their single, "Vertigo," was used in an Apple commercial, and limited edition iPods were manufactured that included U2's entire discography. This partnership between Apple and U2 helped both parties involved, making it an overwhelmingly successful release. Possibly, but not to the extent of partnering with a major corporation, because that's unrealistic. Sponsors are always a possibility for an indie artist. Adapt the U2 model to a smaller company where both the organization and your band would promote each other. In 2007, Radiohead released their groundbreaking seventh studio album, In Rainbows. Their option of giving fans the choice to pay what they wanted for the album forever changed the music industry and inspired various other big-name artists to adopt the same approach. Radiohead later said that In Rainbows made them more money than any other album. Absolutely! Platforms like Bandcamp allow fans to download music for free, or pay whatever they feel the album is worth. Using this method as an indie artist will help you connect better with your fans and expose your music to people who may not purchase your album if it were full price. As in Radiohead’s case, listeners are often much more willing to support music when they have a choice of what to pay. Kanye West's fifth studio album, My Beautiful Dark Twisted Fantasy, was incredibly well-received among critics and fans. With an overflowing amount of material, West decided to distribute the extra songs as free downloads on each Friday approaching the album release. In his case, this caused more hype and excitement for the upcoming album, helping it become the success that it was. Possibly. This model of release is highly dependent on the fanbase. You want to create enough hype leading up to your album, while still ensuring the album release itself is momentous. If you feel your fans would be as excited, if not moreso, for the actual album drop as the free tracks, this would work. It can't hurt to try releasing one or two tracks leading up to the album release if you're not sure how well it'd go over. If it turns out well, you could potentially release more songs or plan your next album around this method. What other album releases blew you away over the last 10 years? Let us know in the comments, or on Facebook or Twitter.